We, at Atlas Man And Van, have a remarkable number of local offices in North London and we provide man and van services of an excellent quality. Since we have offices all over the city, getting in touch with us is incredibly easy and we are ready to take on same-day bookings. The professionals that work for Atlas Man And Van can be trusted with big or small man and van jobs – from courier services and single items deliveries to the removal of furniture and homes. They have the right qualifications and competence for this kind of work. Each of our employees possesses qualities like courteousness, high motivation and ambition. We are ready to go the extra mile so that you can enjoy low-cost moving services in North London. We’ll start by offering you a customised quotation that will not exceed your budget. Then we will give you the chance to take advantage of our great discounts. But even without these things, our professional removals in North London are quite cheap since we have no hidden fees. Our rates offer remarkable value even on holidays. All relocation projects are organised and carried out by our experienced and consummate packers and movers. We believe that a company is only as good as its employees and this is why we carefully scrutinise every worker that we hire. Throughout the years, our moving teams have provided our North London man and van services to numerous local businesspersons and they have always managed to leave our clients fully satisfied with the assistance that they have received. You don’t have to break bank in order to work with us. In fact, it is quite the opposite as our moving rates are reasonable and cost effective. We use a special calculator to take into account the unique specs of each removal project, so that we can form an individualise service fee. You can see beforehand how much our man and van services in North London will cost you by contacting us a requesting a free and non-binding quote. You should note that our quotations are final. Our all-round moving services in North London are so comprehensive client-friendly that they can even come with a hassle-free delivery of moving boxes. We can provide you with recyclable cardboard boxes at any time. Just tell us the quantity and the type of boxes you will need. We can help you with your choice and we can even do an on-site viewing to offer you a more efficient delivery of moving boxes in North London. At Atlas Man and Van we take the safety of your goods very seriously. That is why our North London movers and packers handle the items that are put in their care with great diligence and professionalism. We use high quality packing supplies and all transit vans on our fleet come with modern tested safety gear to guarantee the secure transportation of the boxes that we are hired to move across the city. For a swift and stress-free relocation, just hire a man and van in North London from our company. We have insured our North London man and van services because we are responsible contractors that turn attention to every aspect of the industry. Your comfort of mind is important to us and we are ready to go beyond our call of duty in order to ensure it. Bear in mind that we have a 0% accident ratio and we believe that this speaks immensely about our skills and flawless work methods. All moving jobs for which we are hired are guaranteed to be executed in a fast manner. We never waste the time of our customers since we are equipped with modern moving vehicles that have GPS systems. Plus, our qualified movers are so experienced that they can provide you a time-efficient moving service in North London even with their eyes closed. If you need a last-minute man and van solution, we are the people to call. Greater London consists of North and South London. However, the area north of the Thames is bigger and more heavily populated. Its territory includes historic areas like the City, the West End and the East End and it occupies more than 926.22 square kilometres, which makes it larger than states like Monaco, Liechtenstein, Malta and even Bahrain. North London’s population is also impressive – over 4.71 million people. That means it is inhabited by more people than Cyprus, Slovenia and Estonia combined together. The second largest London Borough, Hillingdon, and the city’s smallest borough, Kensington and Chelsea, are both situated north of the Thames. Compared to the districts set in South London, those in the north are better linked to the rest of the city. That is due to the fact that most of the capital’s tube network serves namely that part of the Big Smoke. North London is traditionally considered to be the better half of the capital to live in. There are many historical reasons for that. The City was established on the north side of the River Thames and the railway network was first developed here too. Some of the oldest and best suburbs in the capital today are namely here – Finchley, Dartmouth Park, Kensal Green etc. Crime rates in North London are traditionally lower than in the south, and the schools are better too. Our moving company operates throughout the sub-region of North London. The area is extremely popular throughout the world as it is the location of numerous prominent schools, university, entertainment venues, sporting facilities, parklands and landmarks. The Palace of Westminster is arguably the most famous edifice in North London. It is the seat of the British government and adjacent to Elizabeth Tower which is the city’s most emblematic structure. North London is mainly consists of suburban districts. Despite that, many of the neighbourhoods in on the north side of the River Thames are quite prestigious. Such is the case with the desirable districts of West Hampstead and Highgate. What is more, some of London priciest addresses can also be found in North London. Notable mentions here include Compton Avenue and Courtenay Avenue. If you are looking to settle in more budget-friendly neighbourhood, try Finsbury Park. Come to our professional organisation for the best man and van assistance in North London. With Atlas Man and Van you will get the treatment you deserve and will be happy to get a hassle- free van hire. Our deliveries are always on time as we plan every route thoroughly. The drivers that operate our vans also pay attention to the weather and the traffic situation. Our fleet of vans is also supplied with GPS tracking systems. All the required security measures are also installed so you have nothing to worry about. Additionally with us you also get complete CMR insurance. Flexible hours are available with our van hire company as you are the one to decide when you want to book us for a move. We have teams of helpers constantly ready to answer your delivery needs. This is especially convenient when you are looking to do an office relocation. We will save you time with our swift van rentals and will help you go back to your regular business hours as soon as possible. We also have a number of great man and van deals for you to take advantage of our special reduced prices for mid-week van hire. Opt for a removal van rental even after regular business hours every day. Speak with our associates and ask for a free moving cost consult. 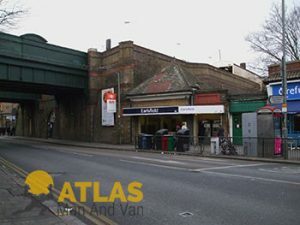 North London is the area in which you can find our organisation. These parts of London have some of the finest boroughs. Islington for example was recently voted to be the best borough to live in. The City of London itself is considered to be part of North London because The River Thames basically flows south of it. The sub-region was amended 2 times over the last 9 years in order to comprise even more boroughs.